Amanda and Dave are a great couple and we have a fun time photographing their special day. We did both their engagement pictures and wedding photos for them. Both shoots were a lot of fun! 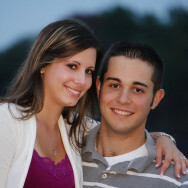 Enjoy a few of their engagement pictures..